Posted on Wednesday, February 10th, 2016 at 3:32 pm. 1.Arreola Gets Beat by Mary Jane – Southern California heavyweight Chris “Nightmare” Arreola’s last fight was changed from a majority decision win to a no decision after he came up positive for marijuana against Travis Kaufman. Arrreola was suspended by the Texas State commission for ninety days. The joke here is the suspension is retroactive so Arreola would be able to fight again by March12th of this year so not much of a punishment. 2.“The Machine” vs “The Teacher” – A fight that is being discussed for the under card on May 7th for the main event between the WBC middleweight champion Saul “Canelo” Alvarez and Amir Khan is a welterweight showdown between Lucas “The Machine” Matthysse of Argentina against Mauricio “Maestro” Herrera. The fight will mark the first for both at the 147 pound limit. 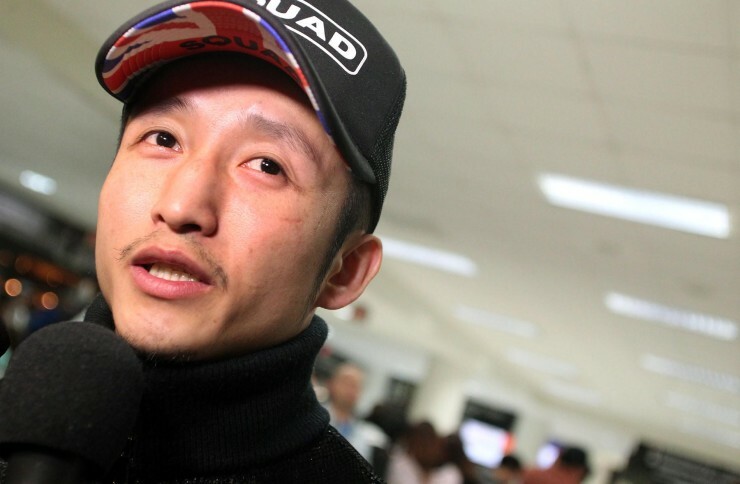 3.The Ratings King – Former Olympian Zou Shimming came back after suffering his first loss a couple of weeks ago in his native China to win the vacant WBO flyweight international champion against Natan Santana Coutinho. Over six million Chinese watched it on TV while thirty million streamed it live. Twelve thousand fans were on hand at the venue making Shimming perhaps the most popular fighter in the world. 4.“Chocalate” Returns to LA – WBC flyweight champion Roman “Chocolatito” Gonzalez will be sharing a fight card once again with Gennady Golovkin, this time on April 23rd at Fabulous Forum in Los Angeles, CA. Despite Gonzalez announcing he wanted to challenge for the WBA super flyweight title, it looks like he will be defending his WBC 112 pound strap against Mexican Juan “Churritos” Hernandez on the semi-main event on HBO. The first time he shared the night with “GGG” was when he stopped Edgar Sosa early last year, the second when he stopped Brian Viloria on HBO PPV and now this will be the third. Nothing official yet but looks like its nearly a done deal. 5.Martinez vs Berchelt is a Go – Puerto Rican promotional company PR Best Boxing Promotions accepted the WBO’s order to have their fighter, super featherweight champion Roman “Rocky” Martinez to face number one ranked Miguel “Alacran” Berchelt of Mexico for the title. The WBO held a purse bid some weeks ago which PR Best Boxing protested and did not participate in the purse bid claiming Berchelt did not have the credentials to be ranked as the mandatory. Mexico’s Zanfer Promotions won the bid and planned to have the championship fight somewhere in Mexico on March 12th. The WBO decided Martinez must fight Berchelt to keep his belt. PR Best Boxing was hoping to make the rubber match between Martinez and Orlando “Siri” Salido but those talks fell through after Salido refused to travel to Puerto Rico to challenge for the title.